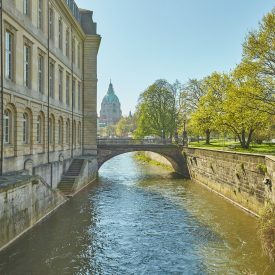 Braunschweig is the City of Henry the Lion, used to be the residency of the Guelphs, a successful Hanseatic town and former provincial capital. Germany’s City of Science 2007 owes its current profile to its proud history, to steady development as a dynamic location for trade and business, to its rich culture and its high quality of life. Historic buildings and the residential palace bear witness to the city’s rich history and lend the attractive city centre its visual character. The highlights of the wide and lively spectrum of cultural offers range between numerous festivals, special exhibitions and open-air concerts. Nestling among many parks and the river Oker, the city provides a large variety of recreation offers in the near vicinity. 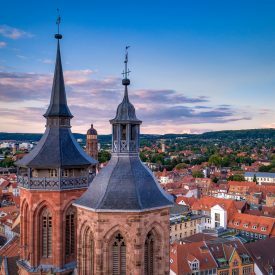 Thanks to its convenient location close to the Harz and the Lüneburg Heath, Braunschweig is also an ideal starting point for tours into a remarkable cultural region and landscape. Today, Braunschweig with its population of about 240,000 is the largest city between Hannover and Berlin and the major urban centre in the region. This town with its unmistakeable flair was founded 700 years ago. Today it is a modern up-to-date city full of half-timbered buildings bursting with life and tradition. In Celle these contrasts blend together to form a harmonious whole where the past, present and future come together. A city to fall in love with. Virtually no other town can offer such incomparable variety. 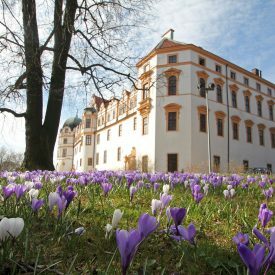 Trade, commerce, sport and culture are all of great importance in Celle. Every year visitors from all over the world come to experience Celle. And for holiday guests and visitors to the Lüneburg Heath a trip to Celle is an unforgettable highlight of their stay. Take up the invitation of Celle’s night watchman to take part in an tour of the old town at night. He will be dressed in authentic costume and equipped with a lantern and halberd (weapon) and tell you interesting and strange facts about the life of this mediaeval town and its inhabitants. Dates of tours are available from the Tourist Information Office. *** hotel from EUR 120.00 per person in a double room. *** hotel from EUR 178.00 for the entire family staying in a family room or 2 double rooms. Discover a World Cultural Heritage site! 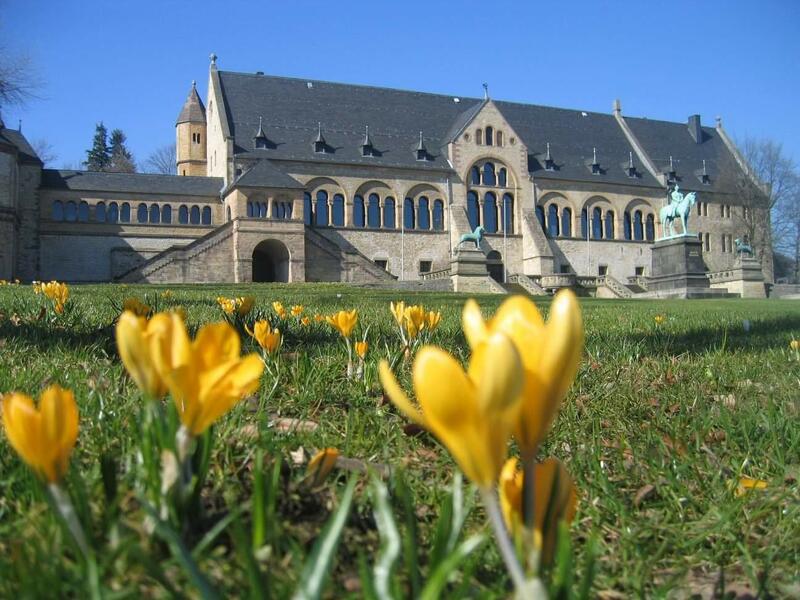 The delightful imperial city of Goslar can be found at the foot of the northern Harz mountains. Defiant-looking towers, numerous churches, colourful halftimbered buildings and cobbled streets – if you take a stroll through the old town, you will be transported back to the Middle Ages. Ornately decorated townhouses, guild buildings, churches, museums and the remains of the city fortifications – all this in an area measuring less than one square kilometre. In 1992 the Rammelsberg and the old town were listed as a World Cultural Heritage site by UNESCO. This is the classic tour through the different epochs of the historic town centre. Admission to the new multimedia experience Huldigungssaal (Hall of Homage) is included. Right in the middle of Germany, directly on the motorway (A 7/ A 38) the university city of Göttingen with its many years of tradition is the ideal spot for a stopover when en route for your holiday. 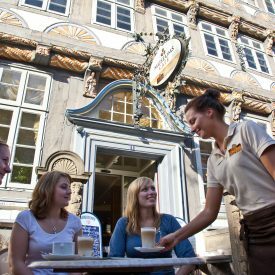 The historic old town, the mediaeval Town Hall, churches, half-timbered buildings, bars and restaurants, street cafés and numerous shops invite visitors to stroll about and take a closer look at the town. At the market fountain you will be greeted by the Gänseliesel, the “most-kissed girl in the world“. Price from per person in a double room from EUR 35.00. Low hotel prices available all year round on the Internet. 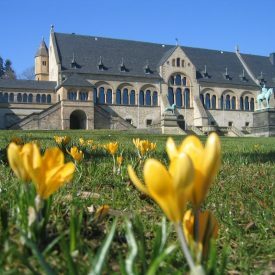 With its 60,000 inhabitants Hameln is the economic and touristic centre of the Weser Mountain area. The legend of the Pied Piper made Hameln world-famous, although the city’s wealth stems from its convenient location as a trading centre on the river Weser. Such economic success resulted in the construction of splendidly decorated houses by the merchants to show off their wealth. This has made Hameln into a jewel of the Weser Renaissance style. Hotel accommodation in a double room from EUR 35,00 per person. All rooms at least with shower/WC and television. Breakfast buffet included. Hotel accommodation in a 4-bed room from EUR 30,00 per person. All rooms at least with shower/WC and television. Breakfast buffet included. Whether travelling from north to south, east to west: you cannot get round Hannover as it is the point of intersection for the major motorways and highspeed train connections. But it is worth stopping off in Hannover. 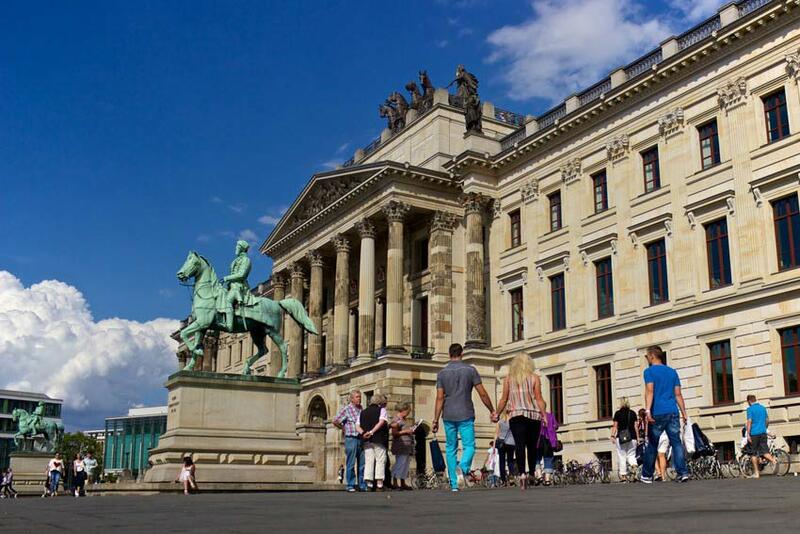 From its friendly old town to open-air concerts or the unique baroque gardens in Herrenhausen: Hannover has lots to offer visitors. 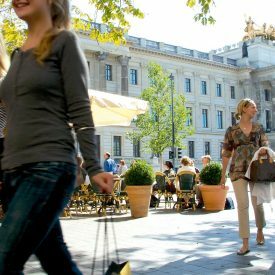 One of Germany’s largest pedestrian zones awaits fans of shopping. 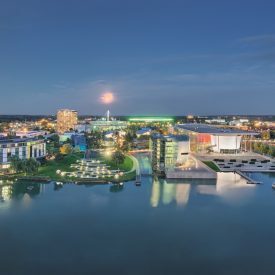 The proximity of its attractions and a wide range of hotels and restaurants/bars make Hannover an ideal place to stop off for the night close to the motorway. Over 11,000 beds in more than 100 hotels provide a wide range of accommodation in all price categories. In summer we offer Super Summer Special hotel rates. 1 night/breakfast from just from EUR 28,00 per person in a double room. 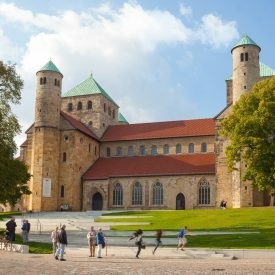 World, culture, heritage – Hildesheim is offering a lot: of the city’s five Romanesque churches, the cathedral and the St. Michael’s Church, symbolising Bishop Bernward’s creative powers, are included in UNESCO’s “World Heritage of Humanity”. The Hildesheim hotels provide visitors individual offers, modern conference facilities as well as seasonal specialties and delicacies. Whether in a charming country inn or a luxurious 4-star boutique hotel, the quality of offers and excellent prices will convince you. Experience 1,050 years of history in Lüneburg Mons, the Kalkberg (“limestone hill”), pons, the bridge across the river Ilmenau, and fons, the salt spring at the salt works. 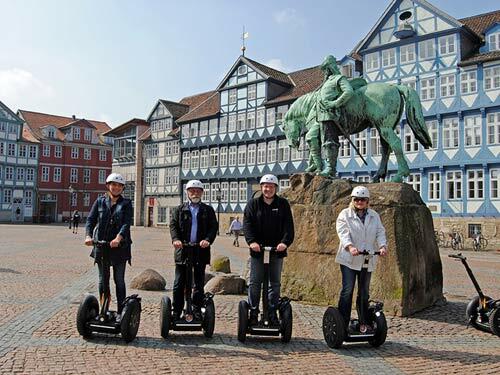 In Lüneburg, you can find a lot of history as well as youthful life in a historic atmosphere. Among medieval brick gables, numerous places giving testimony of salt production, a lively gastronomic scene and a great number of shops, you will find yourself in a realm of real romanticism. Get a realistic impression of 700 years of history in one of the most beautiful town halls in Germany, find out everything about the “white gold” of the middle ages or try to keep up with the wild “Sülfmeister” (“master saltmakers”) in their celebrations. Wolfenbüttel, so much more than you think! For over three centuries Wolfenbüttel, which can be found between the Harz and Heath, was the seat of the Guelphs, a centre of intellectual life and the fine arts. This residency town, which was spared in wartime, looks very much as it did in the age of the Dukes: over 600 lovingly restored half-timbered houses, venerable churches and splendid buildings reflect the glory of the town’s great past. Numerous festivals, sophisticated hotels and gastronomy as well as a wide variety of cultural activities make a stay at Wolfenbüttel into an unforgettable experience. 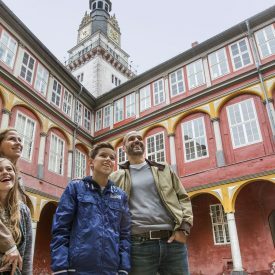 Get to know Wolfenbüttel A 1-night stopover at our historic residency town incl. breakfast in selected hotels: something you won’t forget in a hurry. The price includes a seasonal surprise gift as well as a comprehensive info pack. Arrival on Saturday, from EUR 33.00 per person in a double room, special rates for accompanying children.